The Nisaku Hori Hori Knife No.1830 with a serrated stainless steel blade is made in Japan. 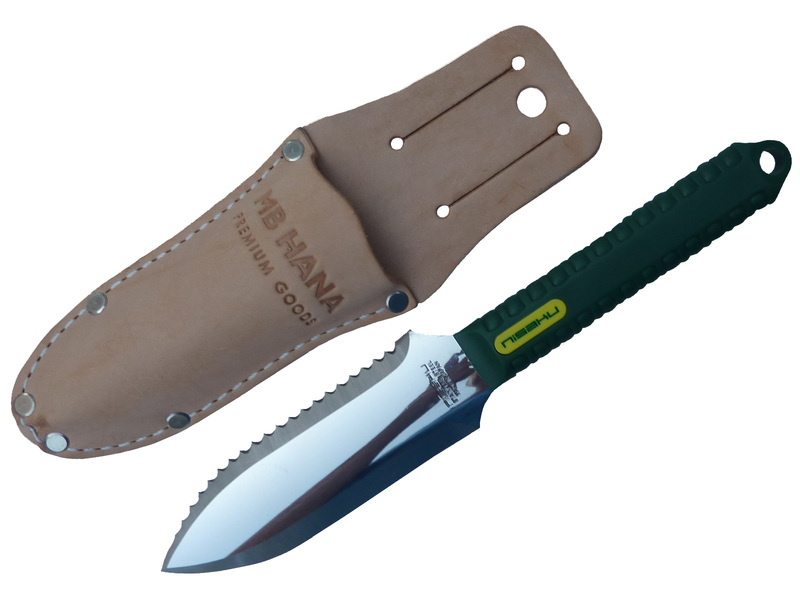 This smaller version of the traditional hori hori is excellent for container gardening and is also a great knife to take backpacking. Originally, hori hori were made of sharpened bamboo. They were used for digging out bonsai specimens from the mountains of northern Japan. The curve of the hori hori blade is fashioned after the curved shape of bamboo. GREAT FOR CONTAINER GARDENING. The Mini Hori Hori’s smaller size lets you use it in pots or confined spaces. LIGHTER WEIGHT makes it easier to use for seniors or gardeners with a less powerful grip. 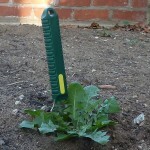 Can be used for right-handed or left-handed digging. DURABLE STAINLESS STEEL BLADE. The hardened steel blade will hold its sharp edge & can be sharpened again when needed. The exposed blade is 120mm (about 4.75") long. 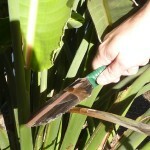 SERRATED EDGE easily cuts through plant roots and twine. 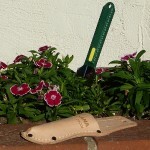 Use it to cut grass plugs or divide perennials.